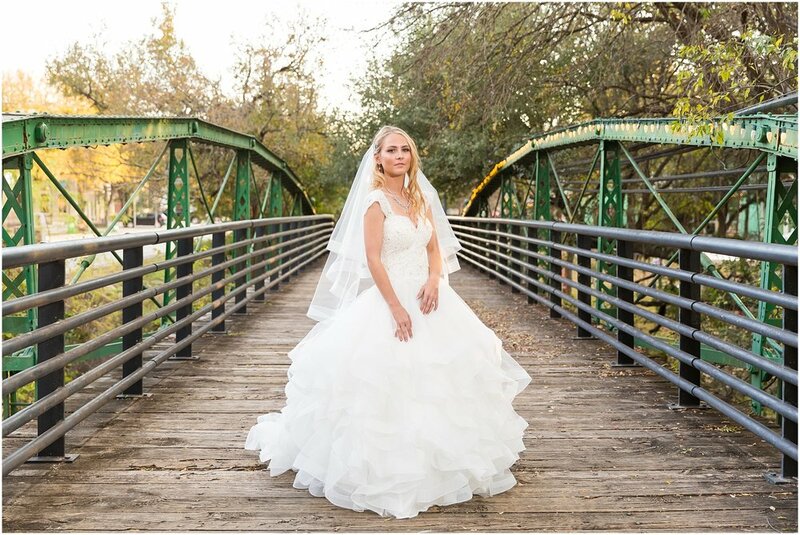 A few weeks ago our good friend Jessica Gudino, owner of The Hair & Beauty Art Studio here in Waco, asked if we’d work with her on romantic bridal styled session. 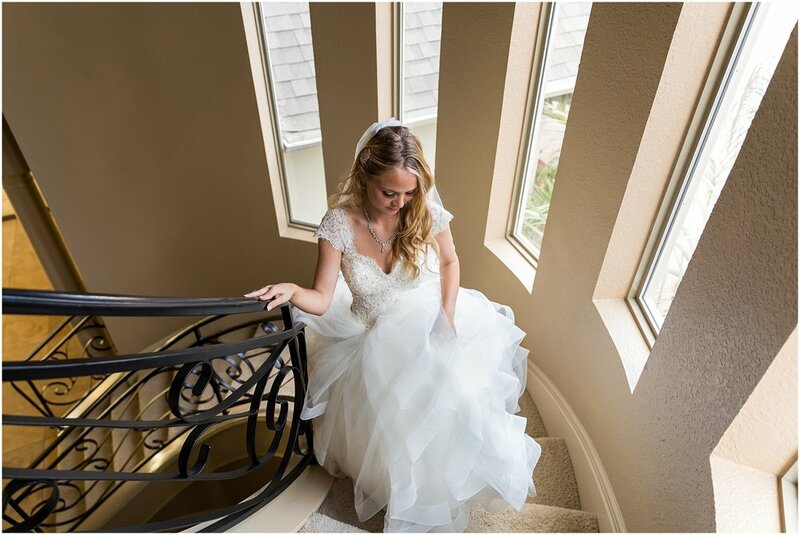 This was an opportunity for her to work with her model friend, Brittany King, and to showcase her studio’s talents for bridal hair and makeup. We jumped at the chance! One, because we love Jessica. And two, because we love the opportunities a styled session gives us. 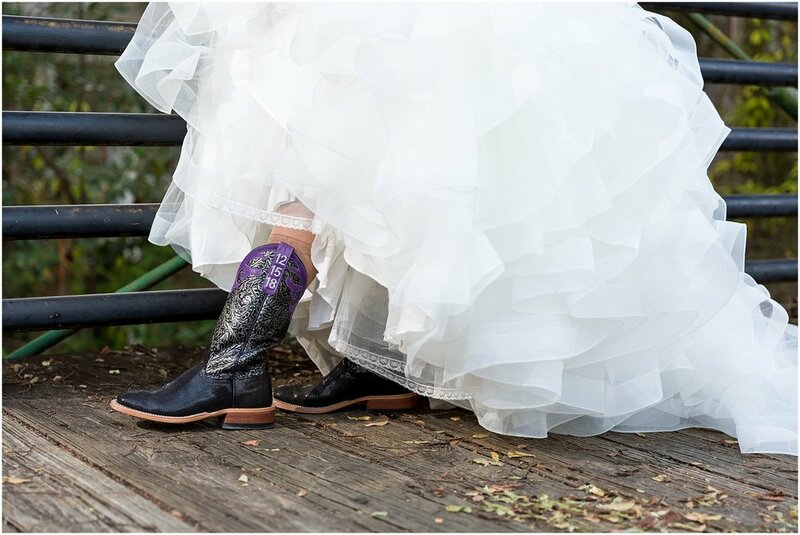 We’re able to run through and tweak our posing techniques for brides, honing our skills for future sessions with our J&M Brides. We also love thinking outside the box and experimenting with different lighting and posing techniques during a styled session. This helps us grow as artists and allows us to take these skills more confidently into our next bridal session with a J&M Bride. 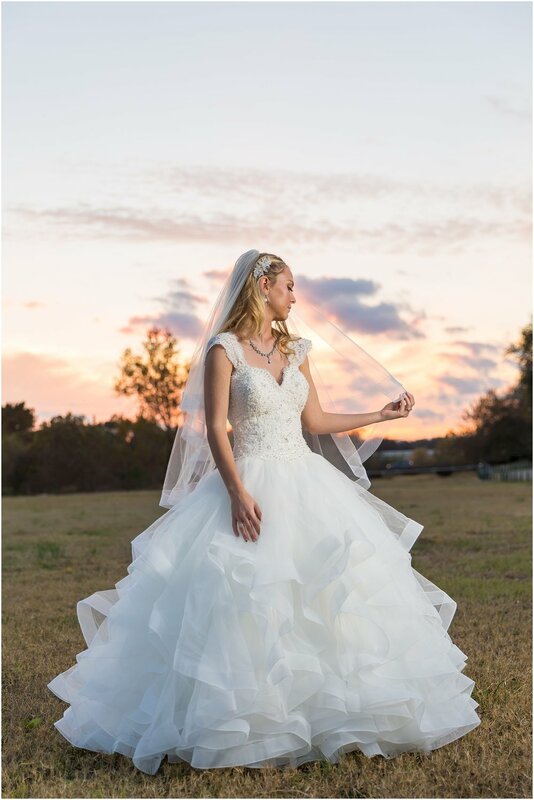 For this session Jessica worked with the lovely ladies at Georgio’s Bridal Salon in Waco to get our model two gorgeous gowns. 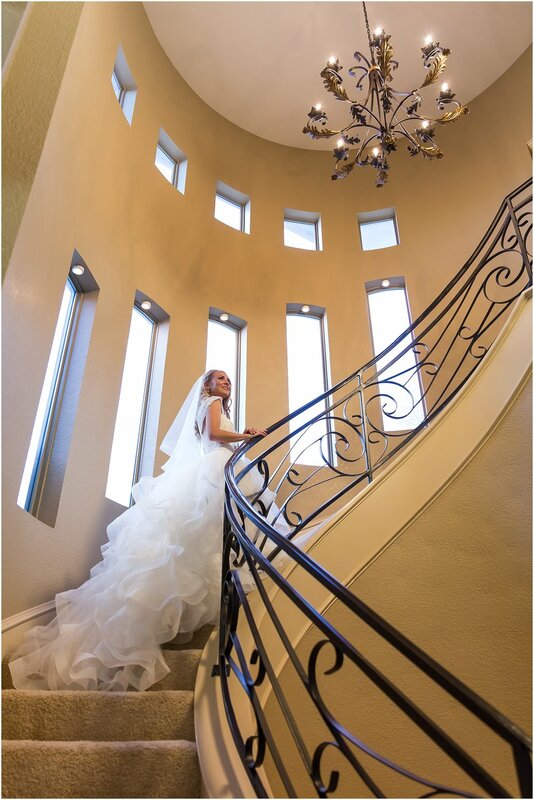 The first gown is a Maggie Sottero, and has so many of my favorites for wedding gowns! The lace design around the bodice and shoulders wrapping around to a sheer back, the statement-making lace-trimmed train. And the cathedral length veil is gorgeous! The second gown, an Allure, is covered in delicate floral lace appliques. 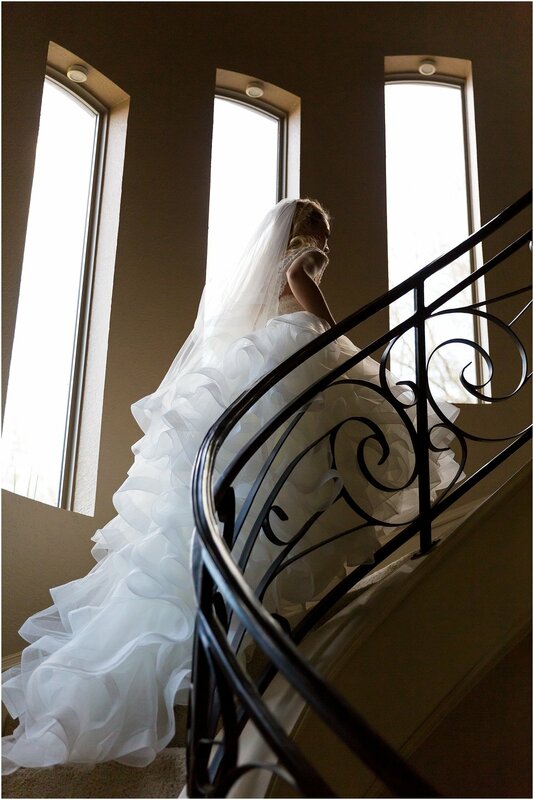 The bejeweled ivory sash is the perfect contrasting accent. And the sweetheart neckline is a beautiful strapless option on this gown. Seriously, if I was picking my wedding gown today both of these dresses would be in my top favorites! Brittany’s beautiful look was made complete by Jessica’s team at Hair & Beauty Art Studio. Jessica gave Brittany loose curls to create a soft, romantic look. With such bold dresses, this simple yet beautiful hairstyle was the perfect choice! And Angelica Guzman, the talented Esthetician at the Studio, gave Brittany the perfect blend of bold eyes and lashes coupled with more natural cheeks and lips. These ladies did an amazing job creating the perfect romantic bridal look! This styled session was so much fun for us! We were able to explore a new location, Rapoport Academy, and use it as a bold backdrop for our model. 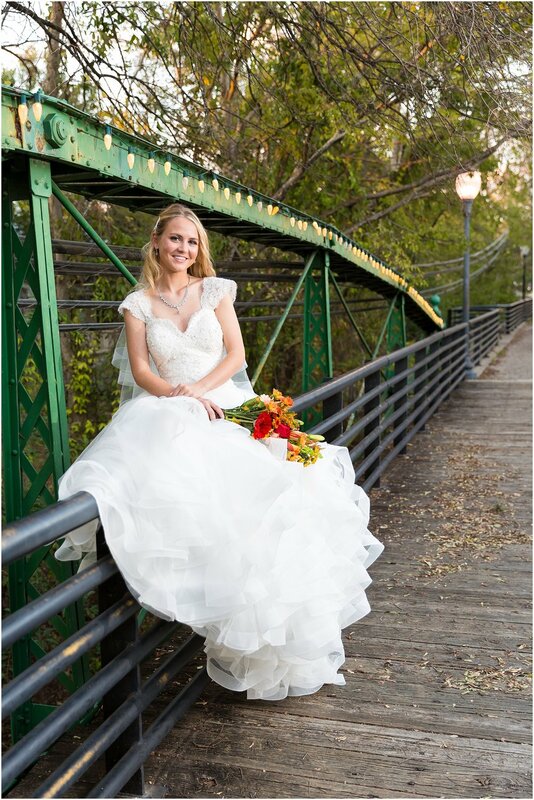 We were able to work together to take some great portraits of a beautiful "bride." And we got to work with some friends! Thank you so much to our fellow wedding vendor friends for making this session a reality! 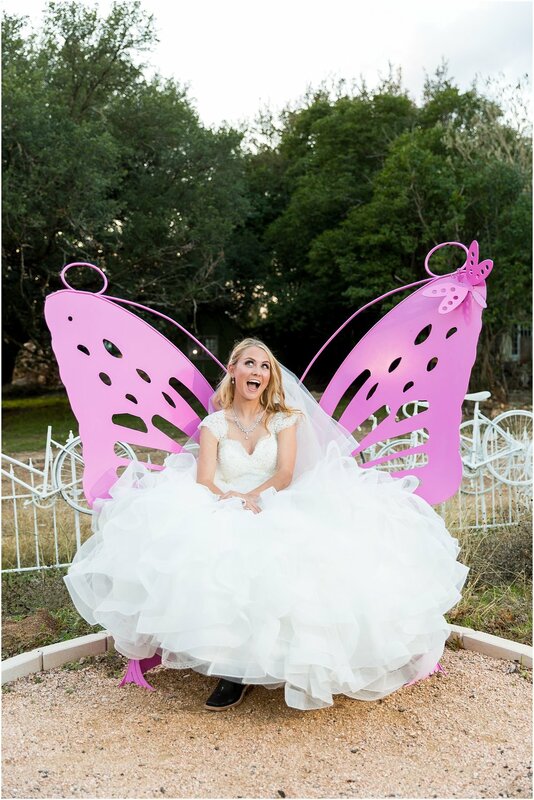 To see some more of our J&M Brides in their beautiful gowns, head over to our blog!